Area: 236,800 sq. km. (91,430 sq. mi. ); slightly larger than Utah. Cities: Capital: Vientiane (2012 pop. est. 853,000). Other principal towns — Savannakhet, Luang Prabang, Pakse, Thakhek. Terrain: Rugged mountains, plateaus, alluvial plains. Climate: Tropical monsoon; rainy season (May to November); dry season (November to April). Nationality: Noun and adjective — Lao (sing. and pl.). Population (2012 est., from 2005 Census): 6.5 million. Ethnic groups (2005 Census identified 49 ethnic groups): Tai-Kadai language family (6 ethnic groups) — 65% Austro-Asiatic (Mon-Khmer and Viet-Muong) language family (30 ethnic groups) — 24% Hmong-Yao (2 ethnic groups) — 8%; Tibeto-Burman (8 ethnic groups) — 3%; other ethnic groups (including Vietnamese and Chinese) — 0.9%. Religions: Buddhism: 67%; Christianity — 1.5%; Baha'I and Islam, 1%; others (principally animism)30.9%. 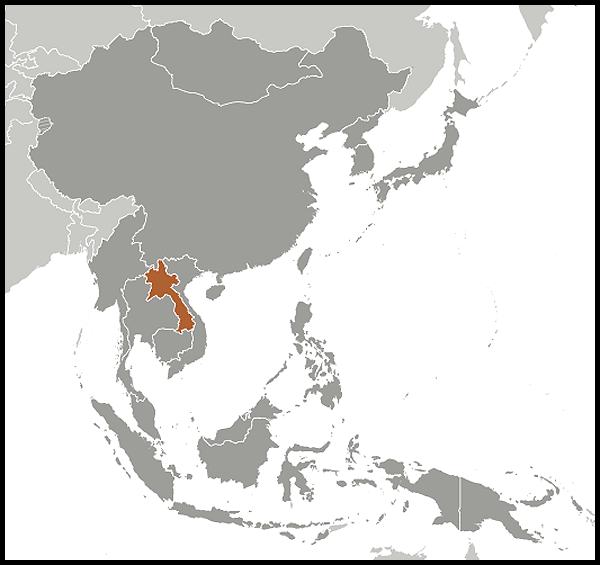 Languages: Lao (official), English, French, and various ethnic languages. Health (2005 Census): Infant mortality rate-70/1,000. Life expectancy (2011., UNDP) — 67.5 years. Work force (3.691 million, 2010): Agriculture 75.1%; industry 5.5%; services 19.5%. Branches: Executive — President (head of state); Chairman, Council of Ministers (prime minister and head of government); 11-member Politburo; 50-member Central Committee. Legislative — 132-seat National Assembly. Judicial — district, regional, and a national Supreme Court. Political parties: Lao People's Revolutionary Party (LPRP) — only legal party. Administrative subdivisions: 16 provinces, and Vientiane Capital. GDP (2010 World Bank) $7.3 billion. Per capita income (2010 $1050. GDP growth rate (2010. ): 8.3%. Natural resources: Hydroelectric power, timber, and minerals. Agriculture (29% of GDP, 2011 est. ): Primary products — glutinous rice, coffee, corn, sugarcane, vegetables, tobacco, ginger, water buffalo, pigs, cattle, poultry, sweet potatoes, cotton, tea, and peanuts. Industry (26.5% of GDP, 2011 est. ): Primary types — copper, tin, gold, and gypsum mining; timber, electric power, agricultural processing, construction, garments, cement, tourism. Industrial growth rate (2009 est. ): 4.8%. Services (2011 est. ): 44.5% of GDP. Trade: Exports (2010 est. ): $1.950 billion: gold and copper, electricity, wood and wood products, garments, coffee and other agricultural products, rattan, and tin. Major markets — China, Thailand, Vietnam, , Switzerland, United Kingdom, and Germany. Imports (2010 est.) — $2.258 billion. Major imports — fuel, food, consumer, goods, machinery and equipment, vehicles and spare parts. Major suppliers — China, Thailand, Vietnam, , South Korea, and Belgium. Laos' population for 2012 is estimated at 6.5 million, dispersed unevenly across the country. Most people live in valleys of the Mekong River and its tributaries. Vientiane prefecture, the capital and largest city, is estimated to haveabout 853,000 residents in 2012. The country's population density was 27/sq. km. About half the country's people are ethnic Lao, the principal lowland inhabitants as well as the politically and culturally dominant group. The Lao are descended from the Tai people who began migrating southward from China in the first millennium A.D. Mountain tribes of Hmong-Yao, and Tibeto-Burman (Kor and Phounoy) as well as Tai ethno-linguistic heritage are found in northern Laos. Until recently, they were known as Lao Sung or highland Lao. In the central and southern mountains, Austro Asiatic (Mon-Khmer and Viet-Muong) tribes, formerly known as Lao Theung or mid-slope Lao, predominate. Some Vietnamese and Chinese minorities remain, particularly in the towns, but many left in two waves — after partial independence in the late 1940s and again after 1975. The predominant religion is Theravada Buddhism. Animism is common among the mountain tribes. Buddhism and spirit worship coexist easily. There also are small numbers of Christians and Muslims. The official and dominant language is Lao, a tonal language of the Tai linguistic group. Minorities speak an assortment of Mon-Khmer, Hmong-Yao, and Tibeto-Burman languages. French, once common in government and commerce, has declined in usage, while knowledge of English — the language of the Association of Southeast Asian Nations (ASEAN) — has increased in recent years. The government is encouraging officials and students to learn English. High school students are required to take either French or English; the majority today choose English. The government introduced English at the primary school level in 2010. Laos traces its first recorded history and its origins as a unified state to the emergence of the Kingdom of Lan Xang (literally, "million elephants") in 1353. Under the rule of King Fa Ngum, this powerful and wealthy kingdom held suzerainty over much of what today is Thailand and Laos. His successors, especially King Setthathirat in the 16th century, helped establish Buddhism as the predominant religion of the country. By the 17th century, the kingdom of Lan Xang entered a period of decline marked by dynastic struggle and conflicts with its neighbors. In the late 18th century, the Siamese (Thai) established suzerainty over much of what is now Laos. The region was divided into principalities centered on Luang Prabang in the north, Vientiane in the center, and Champassak in the south. Following their colonization of Vietnam, the French supplanted the Siamese and began to integrate all of Laos into the French empire. The Franco-Siamese treaty of 1907 defined the present Lao boundary with Thailand. During World War II, the Japanese occupied French Indochina, including Laos. King Sisavang Vong of Luang Prabang was induced to declare independence from France in 1945, just prior to Japan's surrender. During this period, nationalist sentiment grew. In September 1945, Vientiane and Champassak united with Luang Prabang to form an independent government under the Free Laos (Lao Issara) banner. The movement, however, was short-lived. By early 1946, French troops reoccupied the country and conferred limited autonomy on Laos following elections for a constituent assembly. During the first Indochina war between France and the communist movement in Vietnam, Prince Souphanouvong helped form the Pathet Lao (Land of Laos) resistance organization committed to the communist struggle against colonialism. Laos was not granted full sovereignty until the French defeat by the Vietnamese and the subsequent Geneva peace conference in 1954. Elections were held in 1955, and the first coalition government, led by Prince Souvanna Phouma, was formed in 1957. The coalition government collapsed in 1958, amidst increased polarization of the political process. Rightist forces took over the government. In 1960, Kong Le, an army captain, seized Vientiane in a coup and demanded the formation of a neutralist government to end the fighting. The neutralist government, once again led by Souvanna Phouma, was not successful in holding power. Rightist forces under Gen. Phoumi Nosavan supplanted it later that same year. Subsequently, the neutralists allied themselves with the communist insurgents and began to receive support from the Soviet Union. Phoumi Nosavan's rightist regime received support from the United States. A second Geneva conference, held in 1961-62, provided for the independence and neutrality of Laos. Soon after accord was reached, the signatories accused each other of violating the terms of the agreement, and, with superpower support on both sides, the civil war soon resumed. 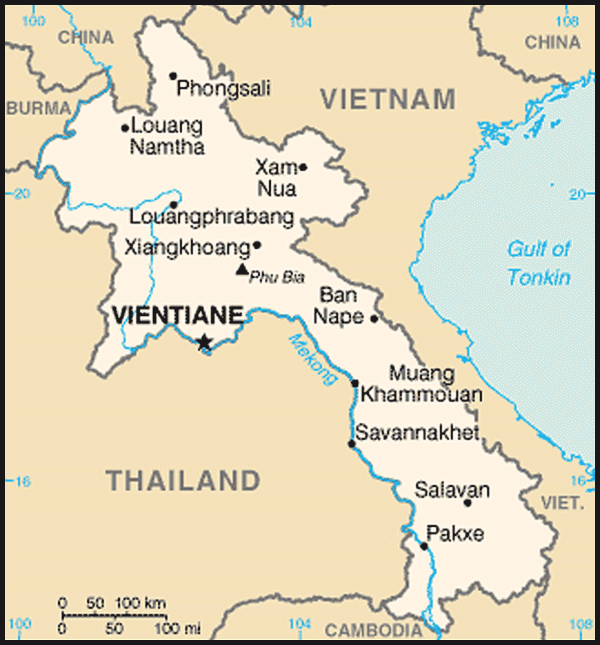 Although Laos was to be neutral, a growing American and North Vietnamese military presence in the country increasingly drew Laos into the second Indochina war (1954-75). For nearly a decade, Laos was subjected to extremely heavy bombing as the U.S. sought to interdict the portion of the Ho Chi Minh Trail that passed through eastern Laos. Unexploded ordnance, particularly cluster munitions, remains a major problem. In 1972, the communist People's Party renamed itself the Lao People's Revolutionary Party (LPRP). It joined a new coalition government in Laos soon after the Vientiane cease-fire agreement in 1973. Nonetheless, the political struggle among communists, neutralists, and rightists continued. The fall of Saigon and Phnom Penh to communist forces in April 1975 hastened the decline of the coalition in Laos. Several months after these communist victories, the Pathet Lao entered Vientiane. On December 2, 1975, the king abdicated his throne and the communist Lao People's Democratic Republic (LPDR) was established. The new communist government imposed centralized economic decision-making and broad security measures, including control of the media and the arrest and incarceration of many members of the previous government and military in "re-education camps." These draconian policies and deteriorating economic conditions, along with government efforts to enforce political control, prompted an exodus of lowland Lao and ethnic Hmong from Laos. About 10% of the Lao population sought refugee status after 1975, many of whom resettled in third countries, including the United States. From 1975 to 1996, the U.S. resettled some 250,000 Lao refugees from Thailand, including 130,000 Hmong. The last major resettlement to the United States of about 15,000 Hmong from the Wat Tham Krabok camp was in 2004. Over time, the Lao Government closed the re-education camps and released most political prisoners. By the end of 1999, more than 28,900 Hmong and lowland Lao had voluntarily repatriated to Laos — 3,500 from China and the rest from Thailand. The Office of the United Nations High Commissioner for Refugees (UNHCR) monitored returnees for a number of years and reported no evidence of systemic persecution or discrimination against returnees per se. UNHCR closed its Laos office at the end of 2001. Today, Laos is a country in transition and has set a goal of graduating from Least Developed Country status by 2020. While the Lao political system remains firmly in the control of the Lao People's Revolutionary Party (LPRP), the forces of globalization and regionalization continue to drive the Lao government to open the economy to market forces. Laos increasingly shows a willingness to engage in international fora on governance issues as well. The only legal political party is the Lao People's Revolutionary Party (LPRP). The head of state is President Choummaly Sayasone. The head of government is Prime Minister Thongsing Thammavong. Government policies are determined by the party through the powerful 11-member Politburo and the 50-member Central Committee. Important government decisions are vetted by the Politburo. Laos adopted its Constitution in 1991, amending it most recently in 2003. The National Assembly, which has added seats at every election, approves all new laws, although the executive branch retains the authority to issue binding decrees. The most recent elections took place in April 2011, when the National Assembly was expanded to 132 members. Laos has enacted a number of new laws in recent years, but the country is still governed largely through the issuance of decrees. Many new laws are being passed at this writing. They are designed to bring Laos into compliance with WTO requirements as Laos aspires to become a member in the near future. A small-scale insurgency against the regime that continued since the end of the Indochina conflict has essentially ended. Past incidents included attacks in 2003 and 2004 against various types of land transportation and public markets. There were reports of clashes in 2005 and 2007. In late 2006 and 2007, more than 1,000 former fighters and family members were estimated to have surrendered to Lao authorities, and there were no credible reports of clashes in 2010 or 2011. The United States opposes any acts of violence against the Lao Government. Laos maintains an embassy in the United States at 2222 S Street NW, Washington, DC 20008 (tel: 202-328-9148; (http://laoembassy.com/). Laos is a landlocked country with an inadequate infrastructure and underdeveloped human resources. 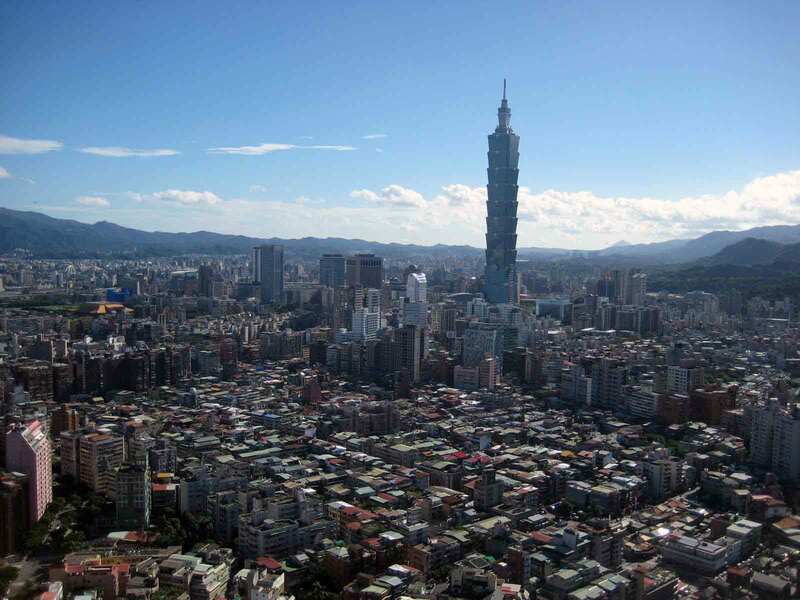 The country's per capita income in 2011 was $1010. Agriculture, mostly subsistence rice farming, dominates the economy, employing an estimated 75% of the population and producing 33% of GDP. Laos to relies heavily on foreign assistance and concessional loans as investment sources for economic development. In 2010, donor-funded programs accounted for approximately 8.5% of GDP and 90% of the government's capital budget. In 2010, the country's foreign debt was estimated at $5.8 billion. Following its accession to power in 1975, the communist government imposed a harsh, Soviet-style command economy system until 1986, when the government announced its "new economic mechanism" (NEM). Initially small in scale, the NEM was expanded to include a range of reforms designed to create conditions conducive to private sector activity. Prices set by market forces replaced government-determined prices. Farmers were permitted to own land and sell crops on the open market. State firms were granted increased decision-making authority and lost most of their subsidies and pricing advantages. The government set the exchange rate close to real market levels, lifted trade barriers, replaced import barriers with tariffs, and gave private sector firms direct access to imports and credit. These economic reforms led to increased availability of goods and economic growth that has continued to the present day. The economy of Laos is essentially a free market system with active central planning by the government, similar to the Chinese and Vietnamese models. However, unlike China or Vietnam, Laos has negligible industrial capacity, an undeveloped and underproductive system of agriculture, and increasingly relies on its rich natural resources to earn much needed-foreign reserves. In particular, the hydropower, mining, precious metals, and timber sectors have attracted major investment from Thailand, Vietnam, and in the last decade, China. Vietnam is now the largest source of foreign direct investment (FDI) in Laos. The government relies heavily on foreign assistance for public investment, and despite escalating revenues from the natural resources sector, shows no signs of significantly reversing this trend. The seventh 5-year plan (2011-15) calls for a budget of U.S. $5 billion for public investment, U.S. $3.8 billion (76%) of which would come from foreign assistance. Tourism remains a bright spot of the Lao economy, offering real future potential, solid growth, and substantial job creation. International indices rate Laos poorly on transparency and ease of doing business. Endemic corruption and poorly developed commercial law continue to hamper economic development. Laos has begun the World Trade Organization accession process, with the intention of joining that organization as soon as possible. The government that assumed power in December 1975 aligned itself with Vietnam and the Soviet bloc and adopted a hostile posture toward the West. In ensuing decades, Laos maintained close ties with the former Soviet Union and its eastern bloc allies, and depended heavily on the Soviet Union for most of its foreign assistance. Since the collapse of the Soviet Union, Laos has sought to improve relations with its regional neighbors. Laos was admitted into the Association of Southeast Asian Nations (ASEAN) in July 1997 and applied to join the World Trade Organization (WTO) in 1998. The government hopes to accede to the WTO by 2013. Currently, Laos' foreign policy concentrates on its immediate neighbors. Laos generally maintains a low profile in the larger international arena, although it has been playing an increasing role in activities of the Non-Aligned Movement and hosted the First States Party of the Cluster Munitions Convention in 2010. In 2011, Laos accepted the statutes of the International Atomic Energy Agency (IAEA). Laos maintains a "special relationship" with Vietnam and formalized a 1977 treaty of friendship and cooperation that created tensions with China. Although the two were allies during the Vietnam War, the China-Vietnam conflict in 1979 led to a sharp deterioration in Sino-Lao relations. These relations began to improve in the late 1980s, and in 1989 China and Laos normalized relations. Today China is becoming a major player in Laos; Chinese investment in Laos is increasing at a rapid rate, bringing with it a growing number of Chinese workers. China isthe second largest single foreign investor in Laos behind Vietnam. In 2003, Laos and Thailand signed agreements to cooperate on cross-border, labor, and counternarcotics issues. Laos and Thailand signed a joint communique in March 2007, the first in 20 years, covering infrastructure development, avian influenza, border control, and Hmong migration issues. Laos is a member of the following international organizations: Agency for Cultural and Technical Cooperation (ACCT), Association of Southeast Asian Nations (ASEAN), ASEAN Free Trade Area (AFTA), ASEAN Regional Forum, Asian Development Bank, Colombo Plan, Economic and Social Commission for Asia and Pacific (ESCAP), Food and Agriculture Organization (FAO), G-77, International Bank for Reconstruction and Development (World Bank), International Civil Aviation Organization (ICAO), International Development Association (IDA), International Fund for Agricultural Development (IFAD), International Finance Corporation (IFC), International Federation of Red Cross and Red Crescent Societies, International Labor Organization (ILO), International Monetary Fund (IMF), Interpol, International Olympic Commission (IOC), International Telecommunications Union (ITU), Mekong River Commission (MRC), Non-Aligned Movement (NAM), Permanent Court of Arbitration (PCA), UN, United Nations Convention on Trade and Development (UNCTAD), United Nations Educational, Social and Cultural Organization (UNESCO), United Nations Industrial Development Organization (UNIDO), Universal Postal Union (UPU), World Customs Organization, World Federation of Trade Unions, World Health Organization (WHO), World Intellectual Property Organization (WIPO), World Meteorological Organization (WMO), World Tourism Organization, and World Trade Organization (observer). The United States opened a legation in Laos in 1950. Although diplomatic relations were never severed, U.S.-Lao relations deteriorated during in the post-Indochina War period after 1975. The relationship remained cool until 1982 when efforts at improvement began. Full diplomatic relations were restored in 1992 with a return to ambassadorial-level representation. Accounting for Americans missing in Laos from the Vietnam War has been a special focus of the bilateral relationship. Since the late 1980s, joint U.S. and Lao teams have conducted a series of excavations and investigations of sites related to cases of Americans missing in Laos. In 2009, the U.S. and Laos exchanged Defense Attaches. Counternarcotics activities are also an important part of the bilateral relationship. The United States and Laos cooperate closely on opium crop control projects that helped to bring about a 95% decline in poppy cultivation, from 26,000 hectares in 1998 to 1,100 hectares in 2007. Laos, however, remains on the U.S. list of major opium producers amid signs of some recent increase in poppy cultivation. U.S.-sponsored demand reduction programs have increased Laos' capacity to treat both opium and amphetamine addiction. The U.S. also provides law enforcement assistance to help contend with the rapid growth in methamphetamine trafficking and associated crime that has occurred in Laos since 2003. The U.S. Government provided about $12 million in foreign assistance (U.S. Department of State and U.S. Agency for International Development) to Laos in FY 2010, in areas including unexploded ordnance clearance and removal, counternarcotics, infectious disease prevention, food security, education, trade policy, and governance. In December 2004, President George W. Bush signed into law a bill extending normal trade relations to Laos; in February 2005, a Bilateral Trade Agreement between the United States and Laos entered into force. There has been a consequent rise in Lao exports to the U.S., although the volume of trade remains small in absolute terms. Bilateral trade reached $71.1 million in 2010. The Lao Government is working to implement the provisions of the Bilateral Trade Agreement while simultaneously seeking to join the World Trade Organization. In July 2010, Lao Deputy Prime Minister and Foreign Minister Thongloun Sisoulith met with Secretary of State Hillary Clinton during the first-ever visit of a Lao foreign minister to Washington; the U.S. and Laos signed an "Open Skies" civil aviation agreement the same day. The U.S. Embassy (http://laos.usembassy.gov/) in Laos is on Rue Bartholonie, That Dam, Vientiane; tel: 21-26-7000; fax: 21-26-7190: country code: (856); city code (21).